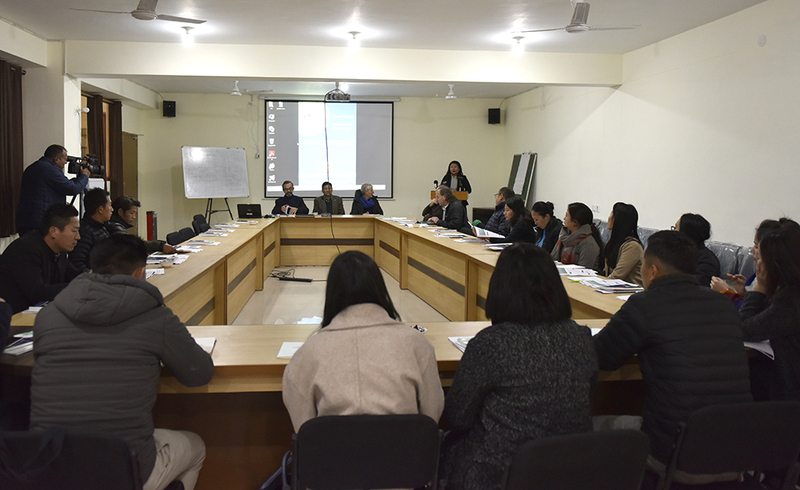 Dharamshala: Two and half days workshop on “Tibetan Issues and International Community”- A Workshop on understanding International Institutions and Climate Change to Bring Tibet to the Forefront is underway at TCRC Hall, T-Building, Dharamshala. Delegation team and expert of Marguerite Contat, Adrien Claude Zoller, Yves Lador and Joshua Cooper will conduct the workshop. 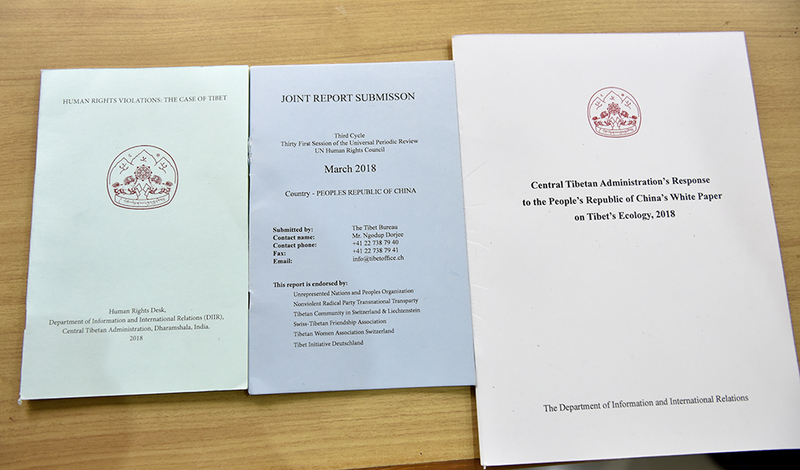 20 participants from the Tibetan Parliamentary Secretariat, Department of Home, Department of Security, Department of Information and International Relations (DIIR), Tibet Policy Institute and NGOs; Tibetan Women’s Association, GuChuSum, Students for Free Tibet, Tibet Action Institute, Tibet Watch, Global Tibetan People’s Movement and LHA are participating. 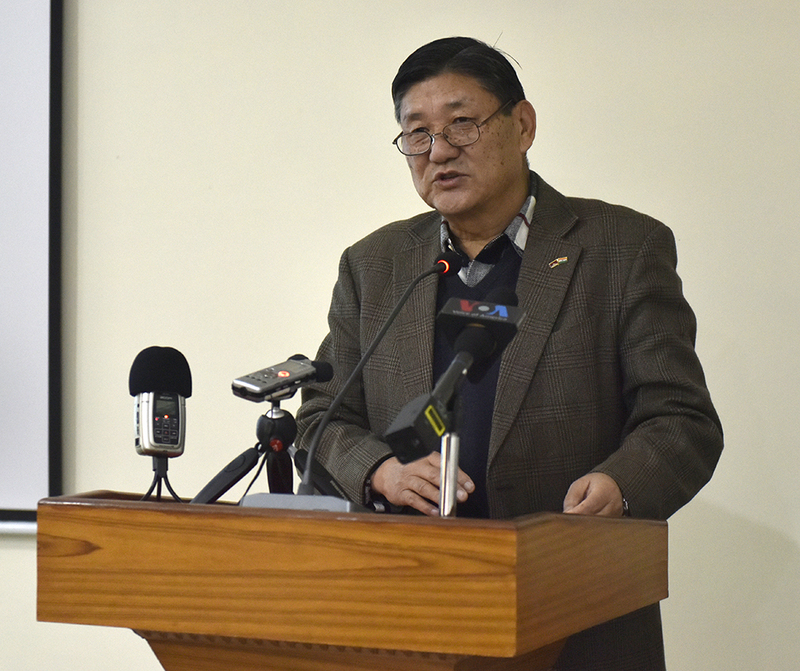 He thanked the participants for making time to attend the workshop and wished them a great learning experience from these two and half days of workshop and togetherness. 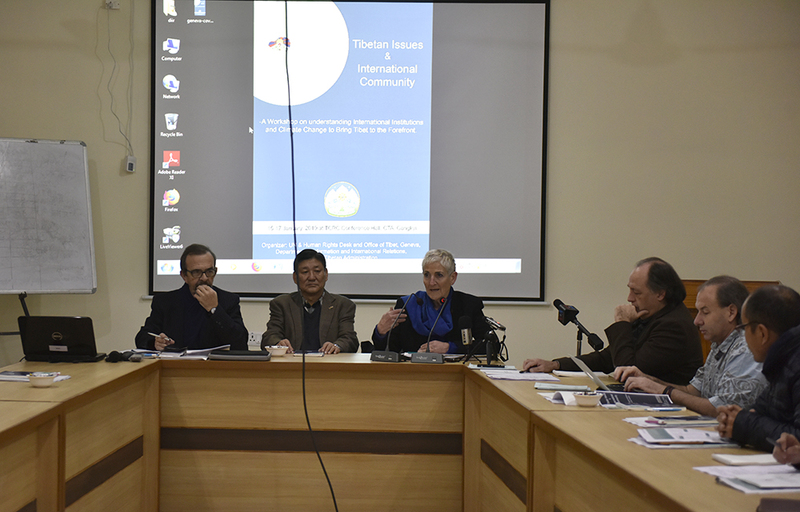 Two and half-day workshop will feature a discussion on the Swiss Political Democracy and Switzerland’s positioning in the International Environment by Marguerite Contat, international institutions in Geneva by Adrien Claude Zoller, a presentation on climate change and challenges for the Himalayan region by Yves Lador and Joshua Cooper. 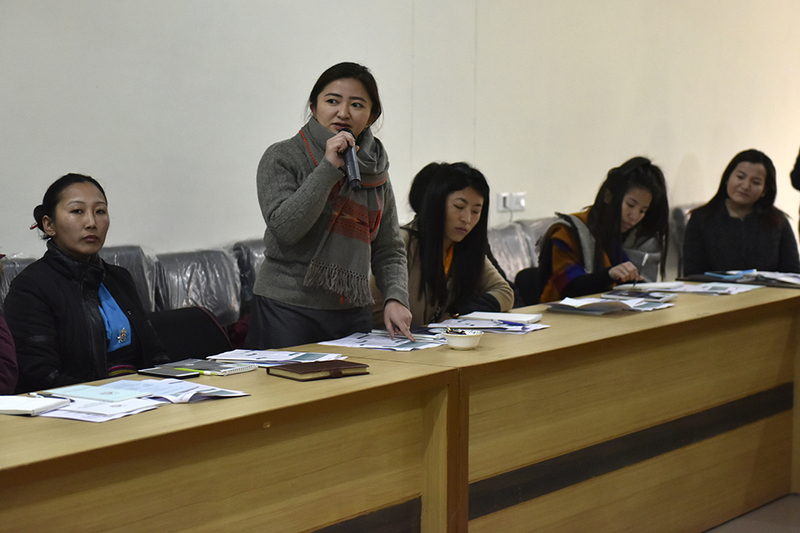 The workshop is being organised by UN and Human Rights Desk, DIIR, CTA and Office of Tibet, Geneva.